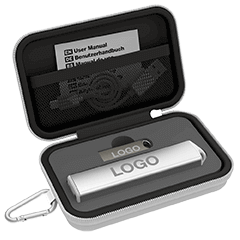 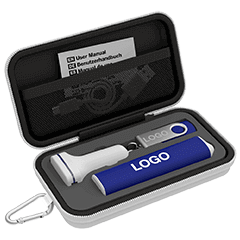 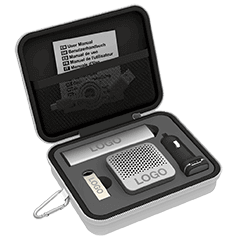 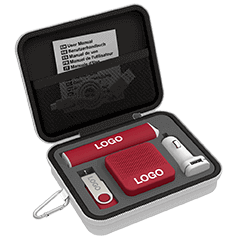 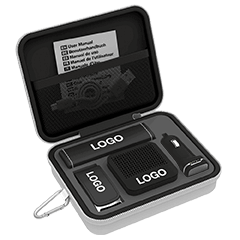 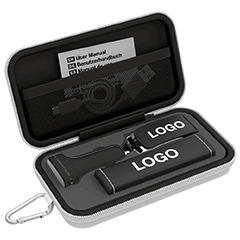 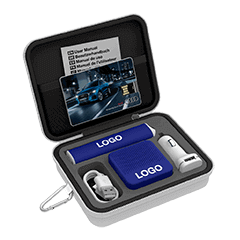 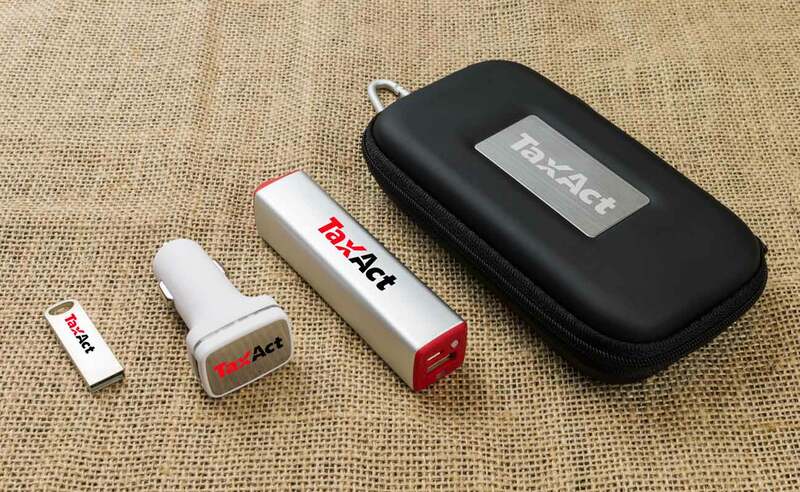 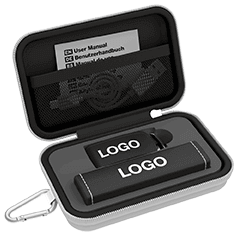 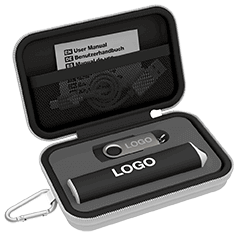 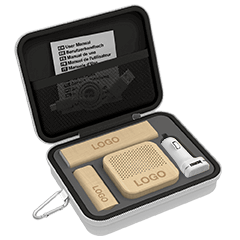 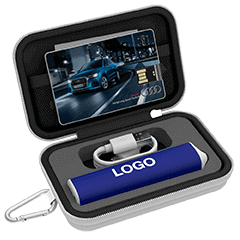 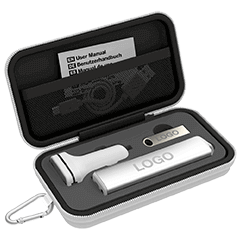 Combine 3 products in a handy Travel Gift Set: Focus USB Flash Drive, Element Power Bank, Zip USB Car Charger. 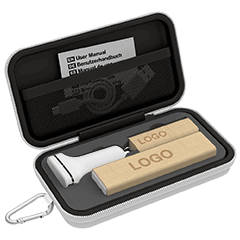 These carefully curated products can be branded with your logo, website address, slogan and more. The top of the Gift Case can also be Laser Engraved or Screen Printed in up to 4 colours. 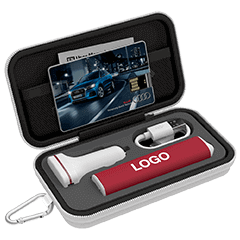 Any product colour combinations are allowed.